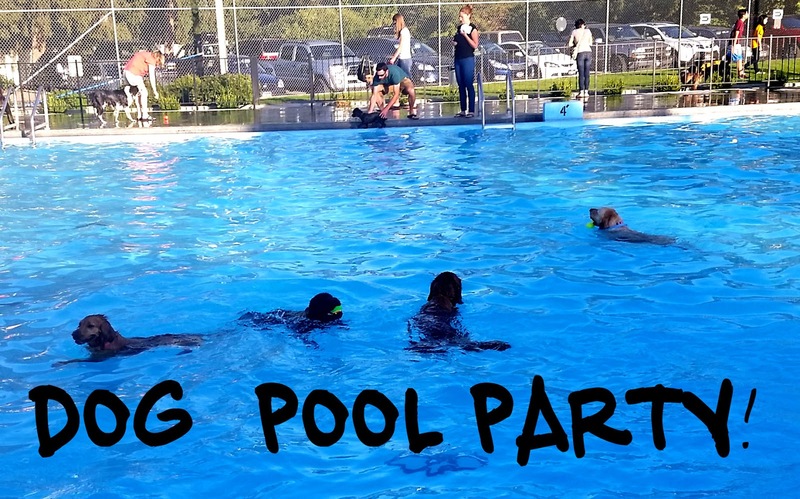 Life with Lolo: Dog Pool Party! Happy Friday y'all! I'll be real honest I thought about not showing up today. My blogger brain is just fresh out of ideas and motivation. 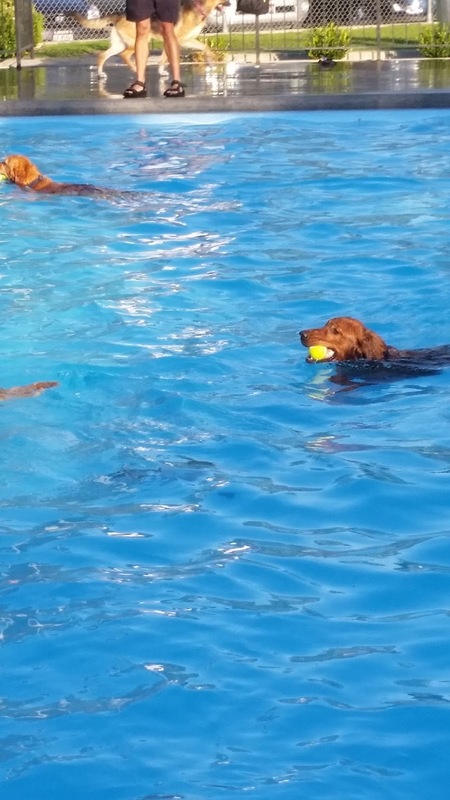 Here in Boise our city parks and recreation department teams up with our humane society every year to put on a doggie pool party called See Spot Splash. It is held at one of our local pools after it has closed for the season, but before it is drained. It works out perfect because they have to clean and drain the pool for the winter anyway. Hundreds of dogs and their puppy lovin' owners swarm to this event and it continues to grow every year. It is one of those things you go to and realize "I'm coming EVERY SINGLE YEAR." 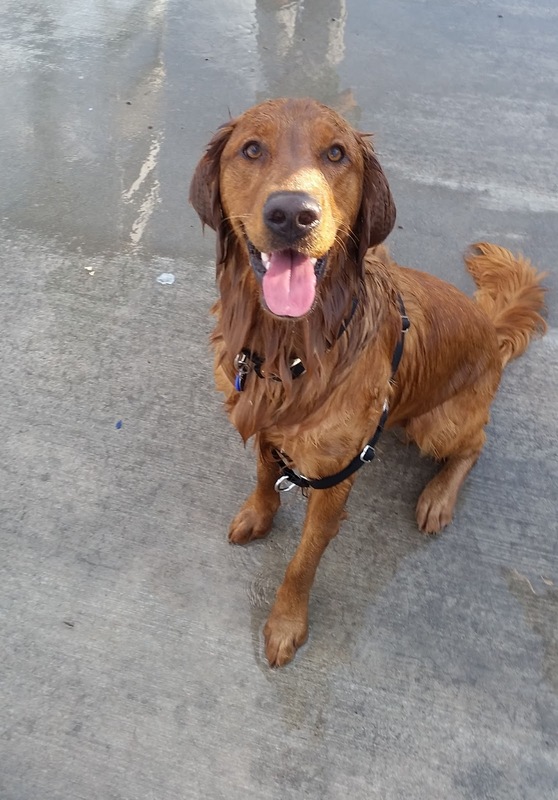 There's just that much joy that comes out of seeing so many happy dogs! 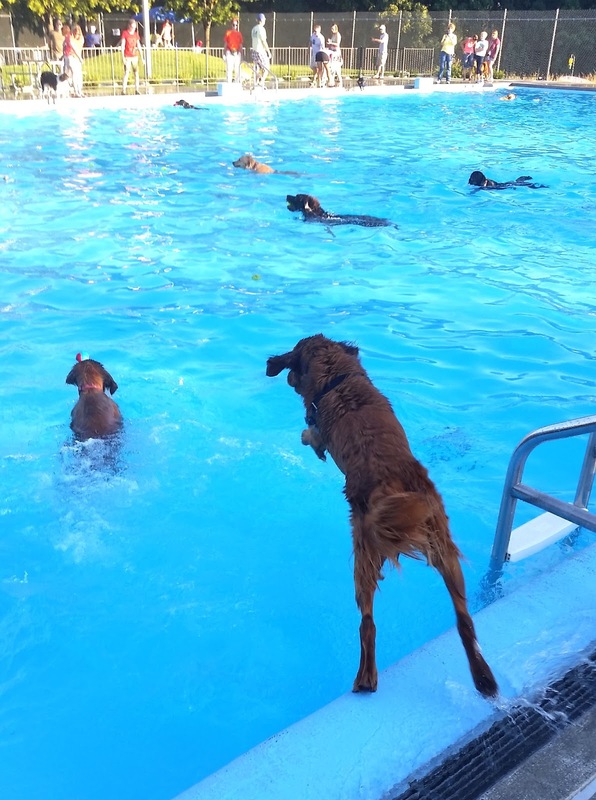 Gunner jumped in over and over after the tennis ball, puppy paddling his little heart out. 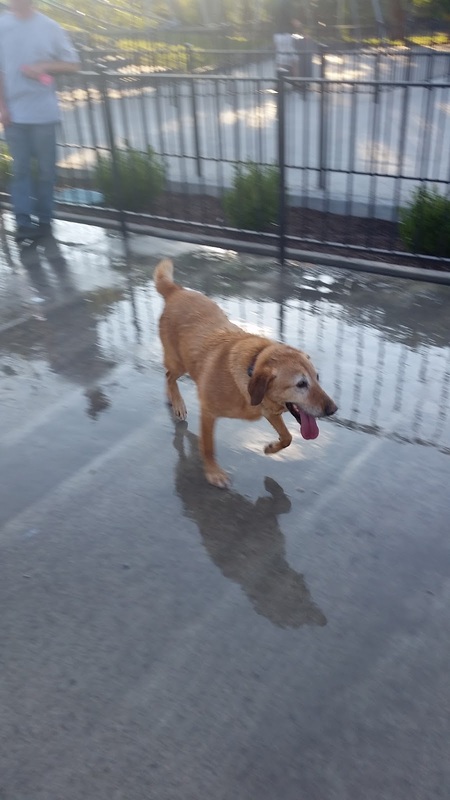 I also took my parents older dog Bailey, and she blissfully did laps around the pool, wading down the ramp into the pool ever so often. Gunner's GF Macy, my friend Jena's Golden, also came to the party and she made local TV! Overall it was one of my FAVORITE events of this whole year! 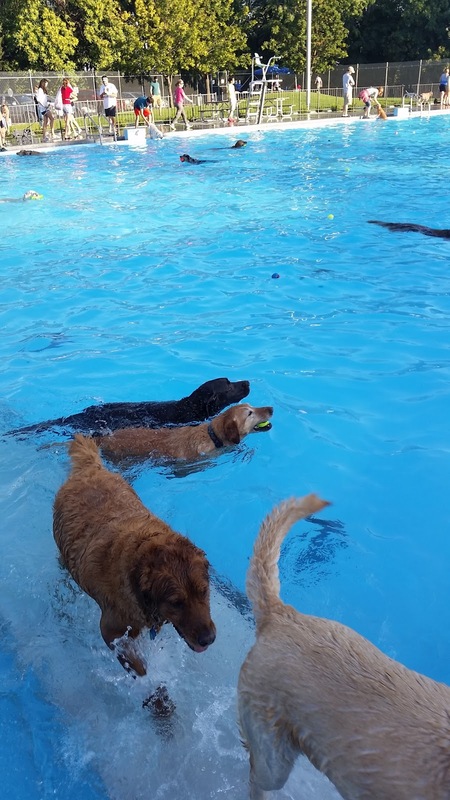 So as I leave you for the long weekend here's my hope - that you have as much fun this holiday weekend as these dogs did at their doggie pool party!! oh my goodness it's a pull full of adorable puppies! that would also be my favorite event of the summer too!! our dogs don't tend to get along well with other dogs, so we can never do fun things.. SO adorable!! if i had a dog, i'd definitely take him/her to something like this. Soooo cute! 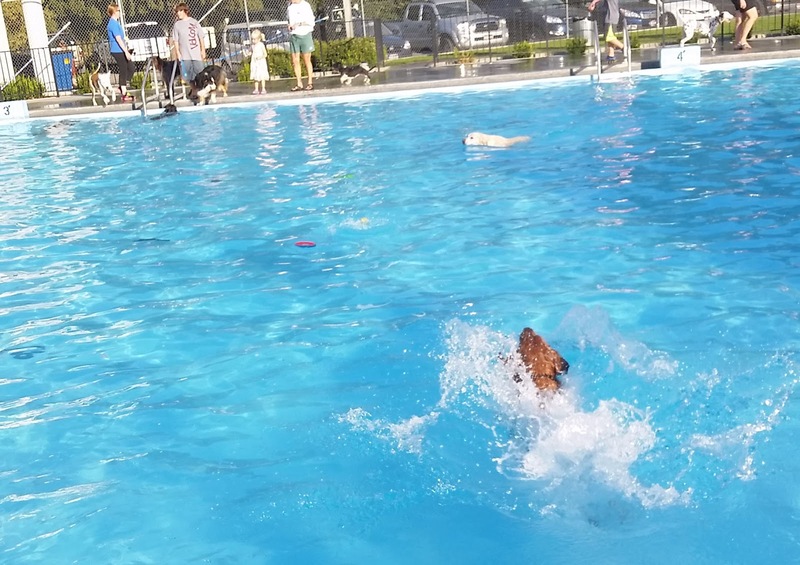 I took my dog to one of these last year and he HATED it :( He's always been apprehensive of the water, but he'll usually get in if he sees another dog in it, so I thought he'd be enticed by all the other dogs jumping in and having a good time. 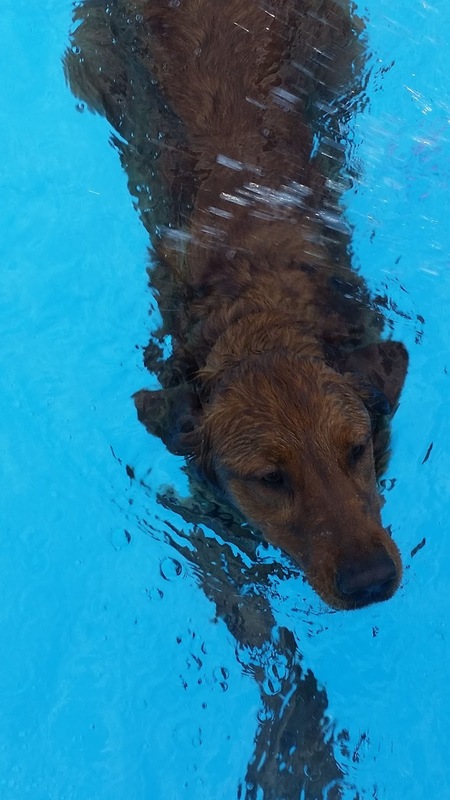 He sat under a table the whole time and wouldn't go anywhere near the pool! These pictures are so cute. All the adorable pups. My pup died lasted year and I still miss him so much. 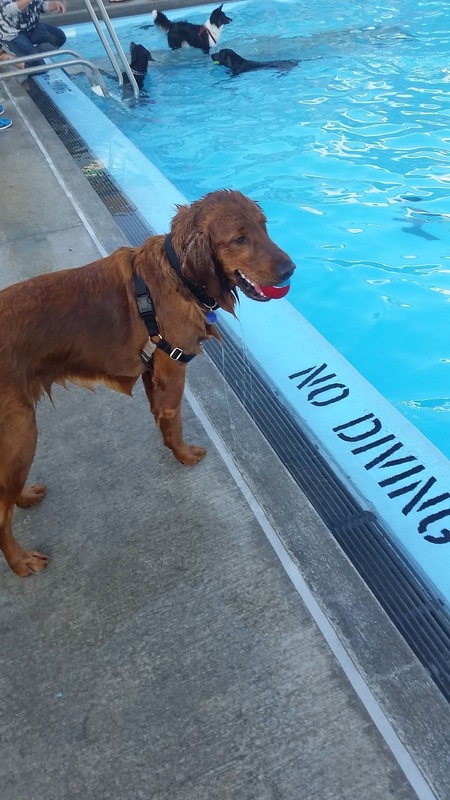 He would have nothing to do with the water no matter how much I begged and pleaded with him.